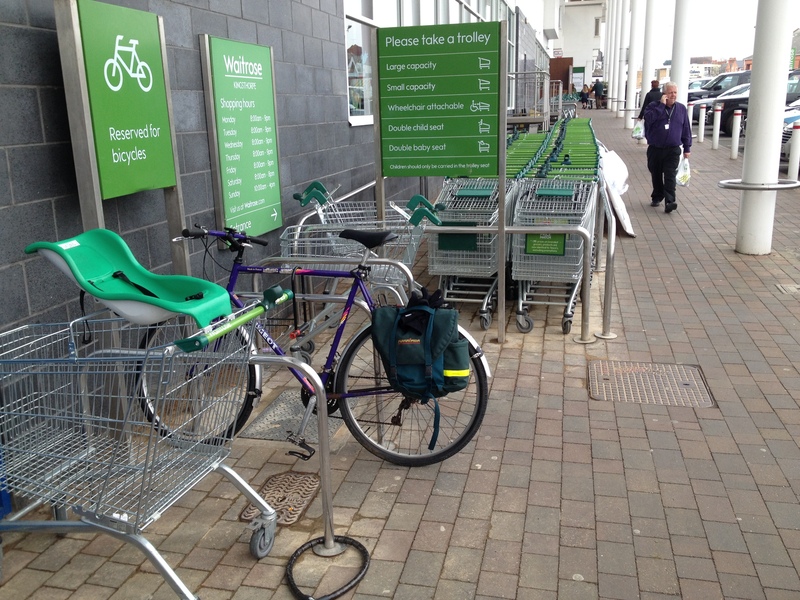 This entry was posted in 30 Days of Biking, CTC Northampton, Cycling and tagged 30 Days of Biking, Brompton Bicycles, CTC Northampton, cycling, Kingsthorpe, Northampton, Waitrose by ianmac55. Bookmark the permalink. Good for you. 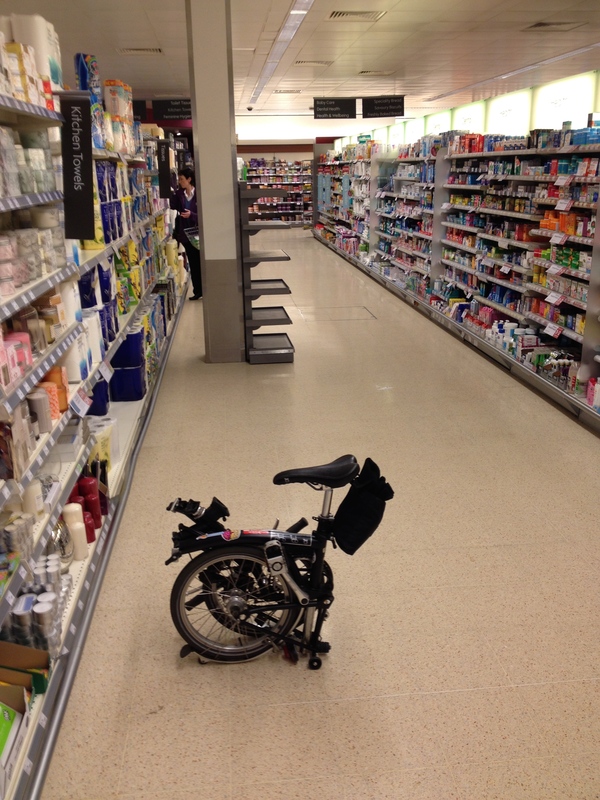 When I’ve left my bike there, slightly concerned that the racks were invisible from inside the store, it has never occurred to me that I could ask for better provision. But why not? When I first complained (politely of course) the customer service desk assistant said I was the third person to complain that morning!